If perfume counts is Coco Chanel Mademoiselle 100ml or probably Benefit high beam. WRATH: Which beauty item do you have a love/hate relationship with? Bright blush. Some day I'll love it, but the next day I would say:"wtf, how the hell I liked that yesterday it looks stupid on me!" GLUTTONY: What brand makes up the biggest chunk of your make up collection? SLOTH: What product do you neglect to use due to laziness? Bodylotion. I have really dry skin, but I am always too lazy to put it on after a shower. It's a bad habit. I only use it, when it's really bed. PRIDE: Which beauty product gives you the most confidence? This one is tough! I don't wear make up on a daily basic. I feel good without it too. But I feel really naked without nail polish. So maybe nail polish? But right next is mascara! 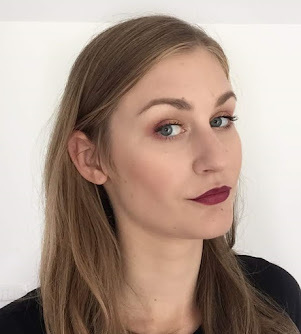 ENVY: What make up product / look looks great on others but not on yourself? Hmmm bright lips? No bottom mascara look. And a bronzed look. Zdaj sem bila pa že tolikokrat tagana, da ga res moram narediti. Sem pa že naredila "lak" verzijo. Can't do without nail polish too!!! !